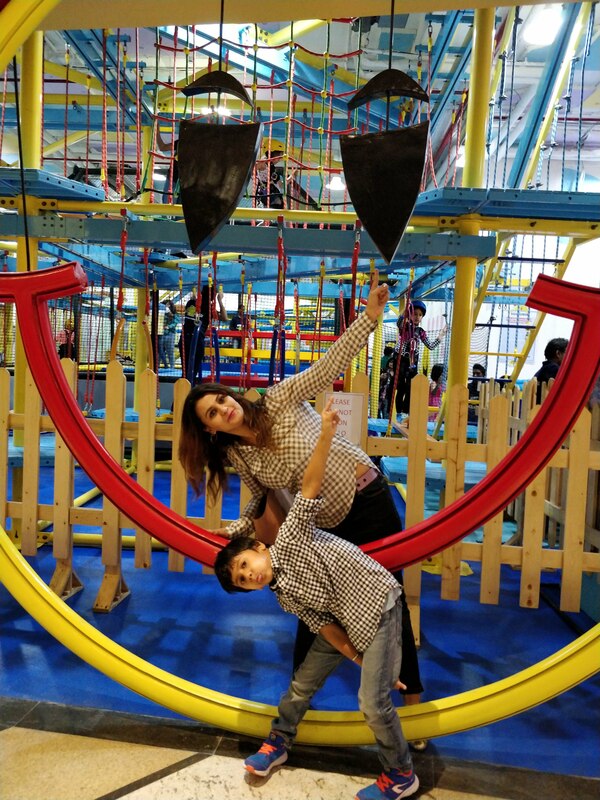 Today I shall be sharing my experience about Happy Planet the largest indoor activity area for kids and adults. My son and I were invited to spend the day there. 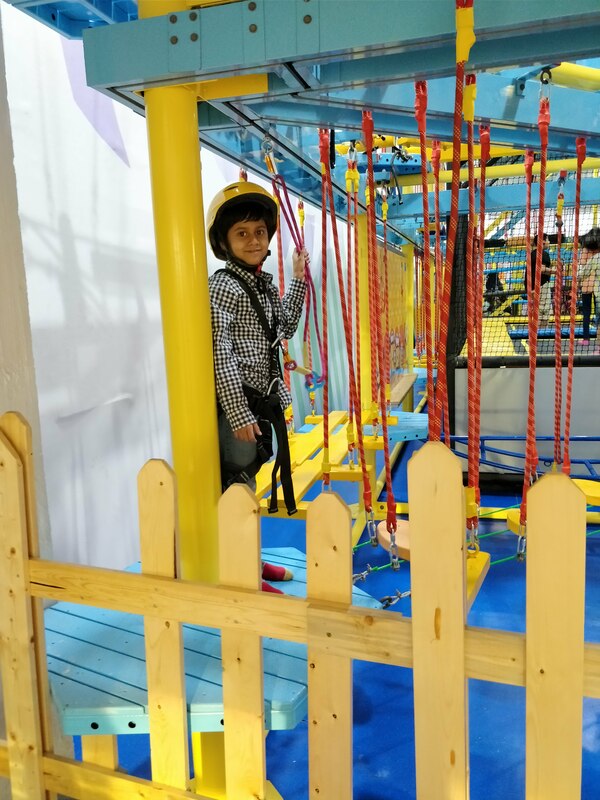 My first thought was to say No as my son is 8 years and he is extremely active and beyond play zones now to keep him entertained. However, I was tempted to check it out so I decided to risk it. And am so glad I did. 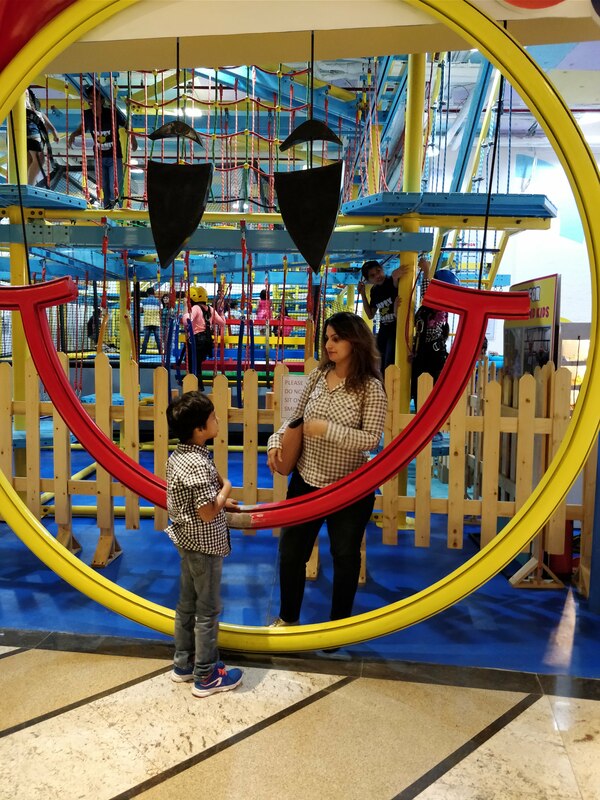 Happy Planet was all that I could ask to keep my son entertained, so much so that even after 3 hours of non stop fun, he wasn’t willing to come out of there. These games are designed to develop early learning and skills as well. 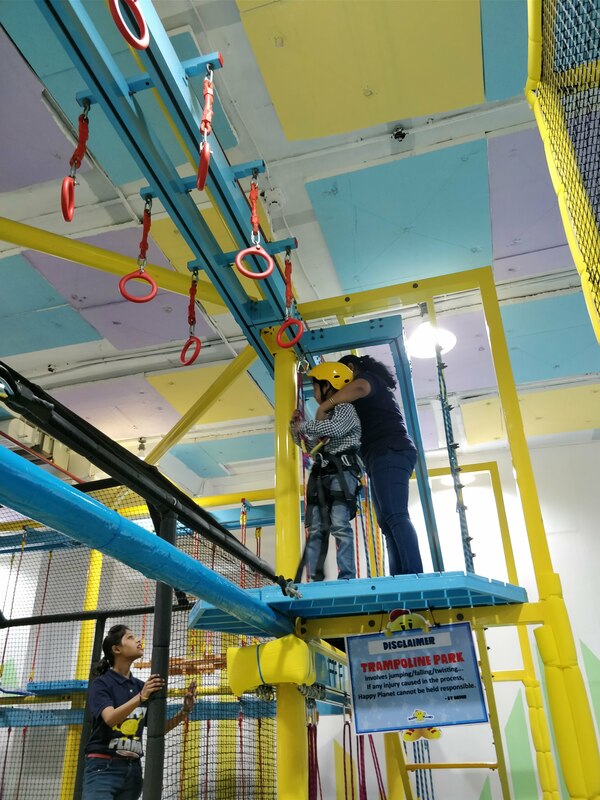 Kids get a good understanding of co-ordination, balance, mental agility etc. 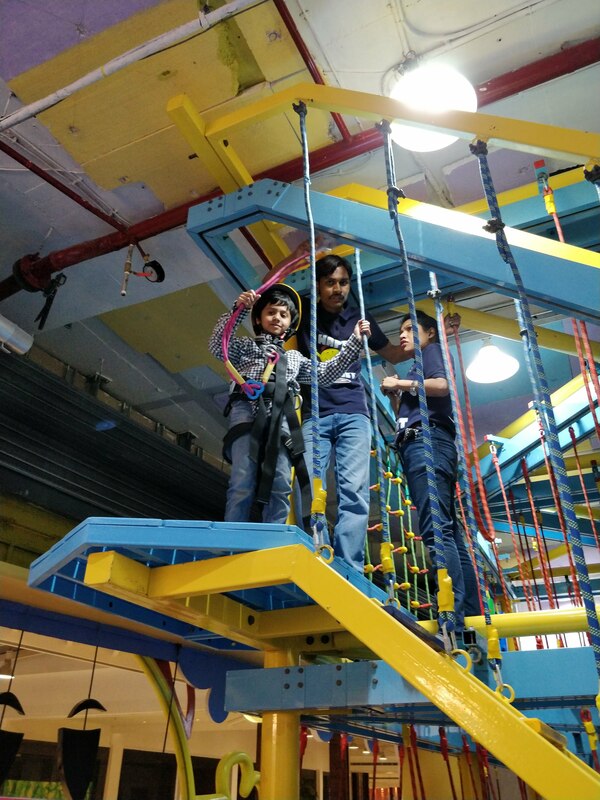 It is definitely a must do for kids and adults. This huge indoor area is spread over 6,000 sq.ft. and is completely covered and safe for kids of all age groups and even clumsy adults like me. The different activities leaves little scope for boredom. 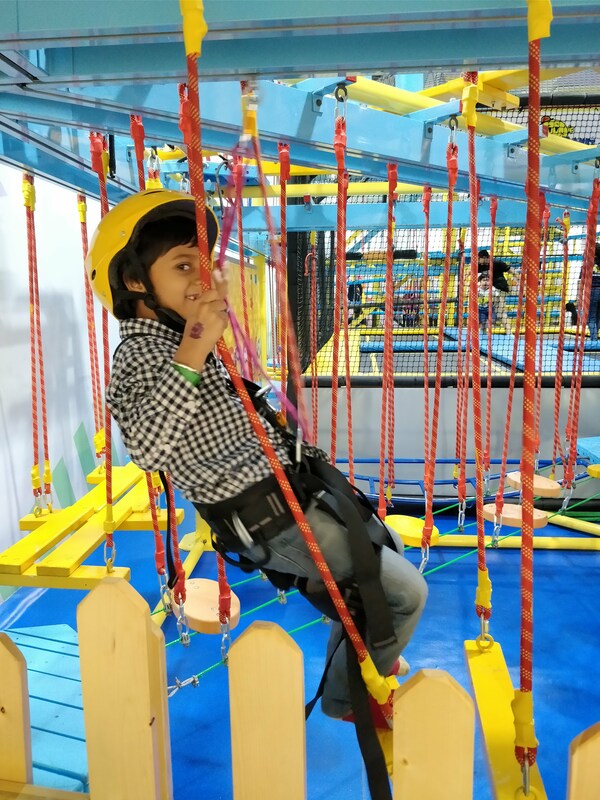 An out and out fabulous experience, am not sure who enjoyed more – my son or self. 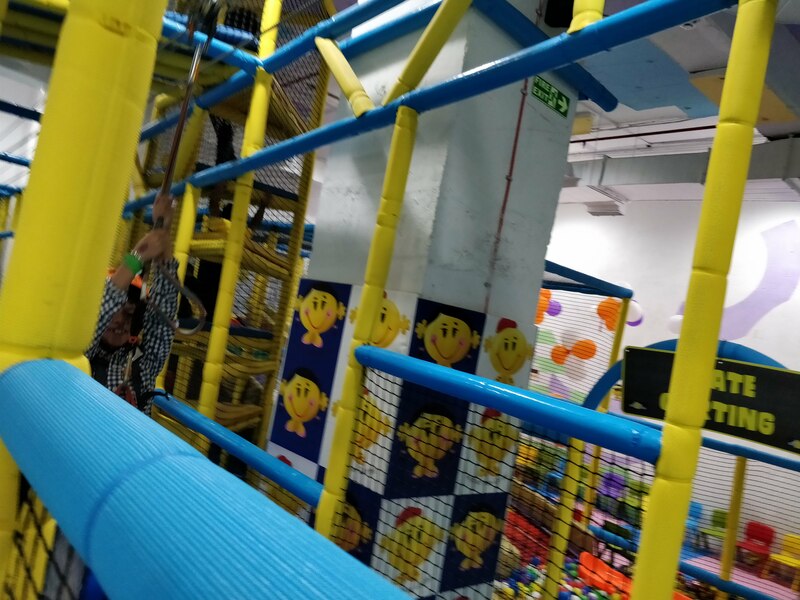 The staff at Happy Planet is well trained and courteous and one can safely leave the kids without worrying about supervision. All the zones are safe for kids and adults alike. Happy Planet has taken appropriate safety measures to prevent any play hazards. 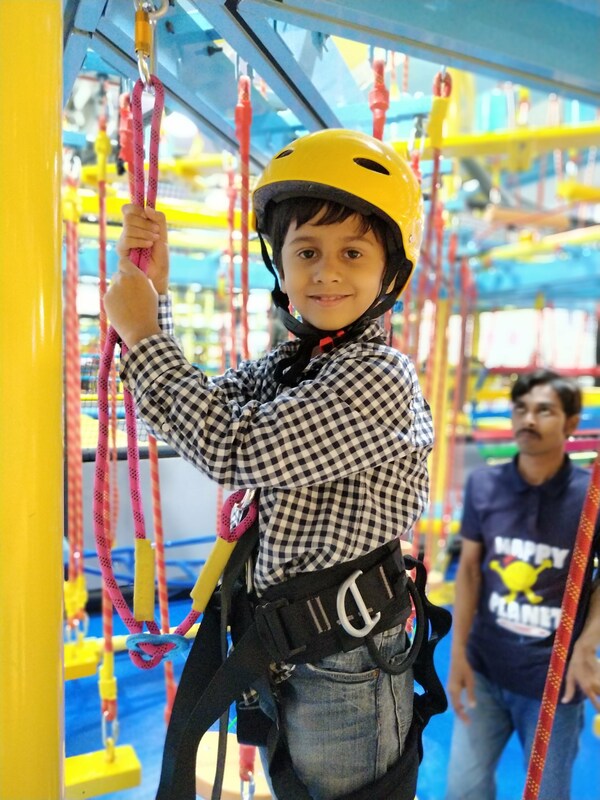 My son tried a few activities – like a the zip liner, football in the air, trampoline park and he loved the experience. There is also a dedicated space for birthday parties as well ladies kitty parties or lunches that can be organised. 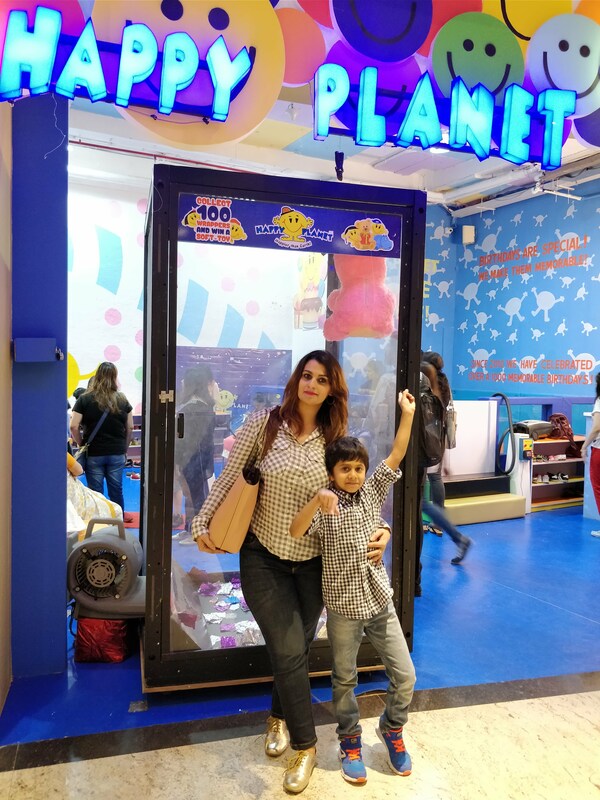 I would strongly recommend Happy Planet to all moms and the kids too. 😉 Very few places offer a complete fun experience for both. Sharing some pics of us having a blast. 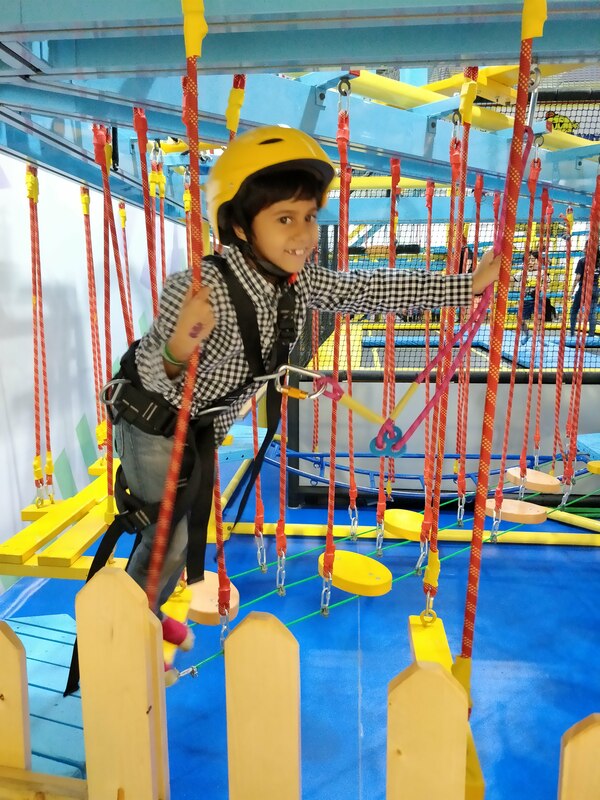 Go check out Happy Planet and let me know your experience. 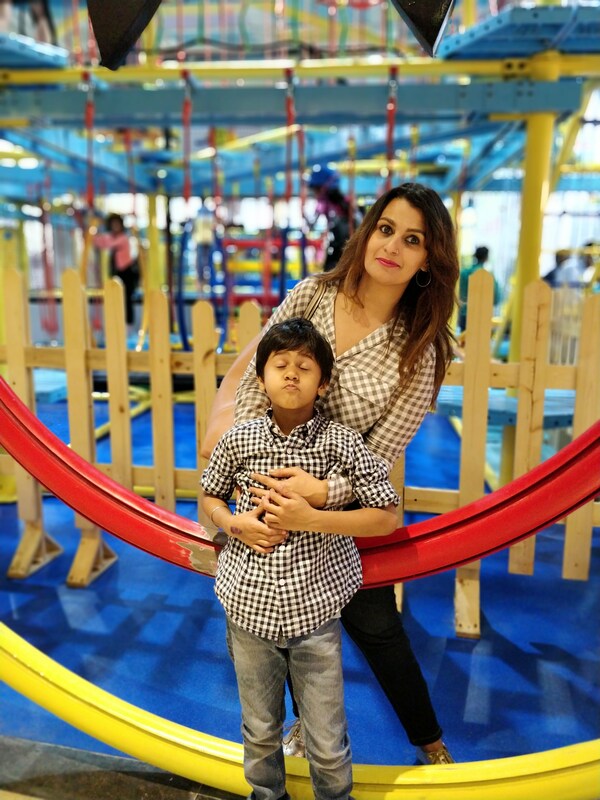 Both Aedan and I are twinning in our @HM checkered shirts.